It is said that on average, a person gains 2-4kgs over the festive period. I whole heartedly agree. It seems like I’ve been doing nothing but stuffing my face since I came back to Ipoh for Chinese New Year. 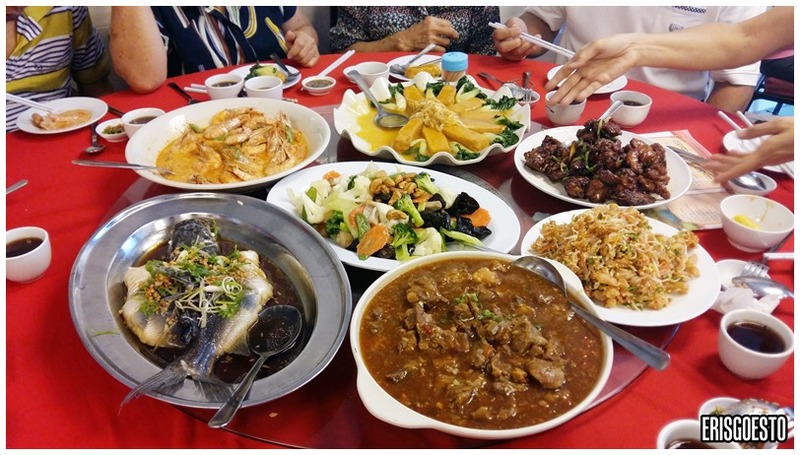 Many families prefer eating out on subsequent days after reunion dinner night, and my fam was no exception. Most places were booked out, but we managed to find a spot at Sun Marpoh Restaurant in Ipoh Garden. For lunch, they had set meals for 10pax going from RM398++ onwards. Our group opted for the RM428 set. 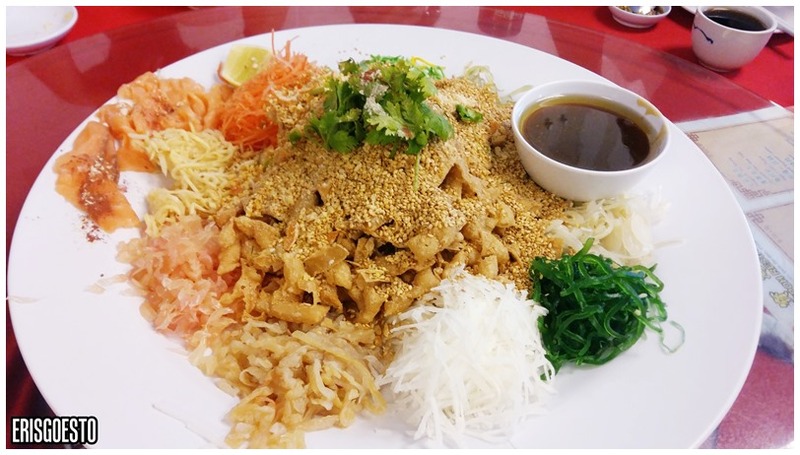 More Yee Sang. I think this is the fifth or sixth Yee Sang I’ve had so far, including the ones I tried for food reviews at work. After awhile, one does get jaded… but the version here was decent. Fresh ingredients and well-balanced taste. 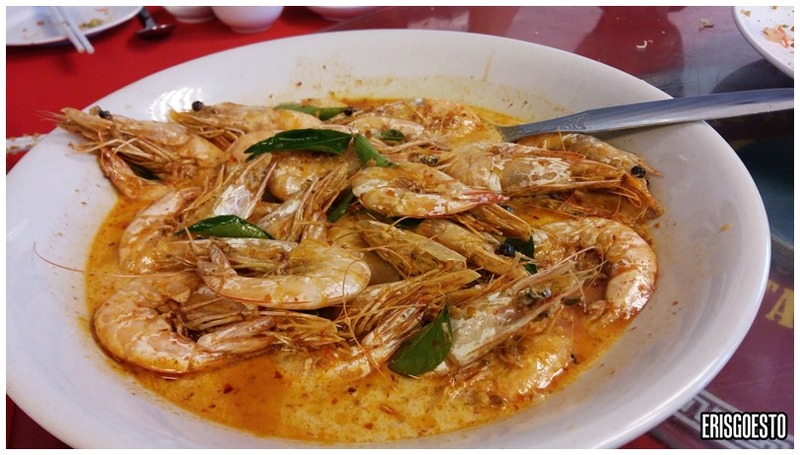 The curry prawns were sizable, and the creamy curry was great to go with rice. There was enough for everyone to take a few pieces. 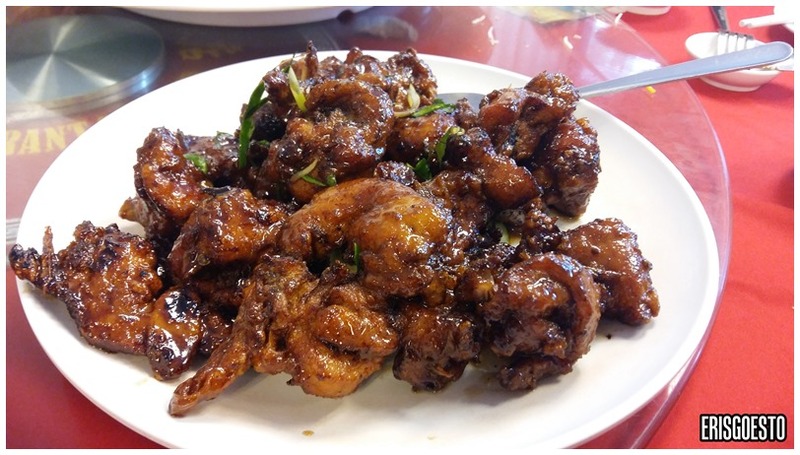 Lemongrass fried chicken. Flavour was good but a little too oily. Other dishes: steamed patin, pumpkin tofu with bokchoy (which was excellent! ), stir-fried mixed vegetables and Guinness pork ribs (least favourite dish, tasted weird to me). All in all, it was value for money and portions were good enough that everyone got to eat their fill, but not too much that there were a lot of leftovers.